A pastor who fled the civil war in South Sudan has been equipped to establish new church plants, thanks to a mobile phone app. Rev. Alex Sokiri and his wife Harriet fled an armed raid on their town in Kajo Keji in South Sudan in July 2016, forcing them to leave all their possessions behind. 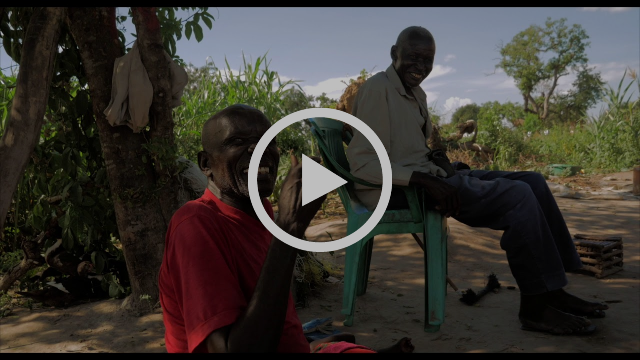 They travelled on foot to the Morobi Refugee Camp in Northern Uganda where they, and others from their church and community, struggled to adapt to life in the camp that has now been their home for the past two years. Alex and Harriet use the eVitabu mobile app, which means ‘books’ in Swahili. This app contains a wide range of theological resources and Bible versions. Having fled without possessions, Alex has found the loss of his theological library challenging. However, the eVitabu app developed by the African Pastors Fellowship (APF), which is loaded on to a solar-powered tablet, is enabling him to teach, prepare sermons, and inspire and equip fellow pastors in the camp. “The app helped us with ideas for counselling, farming, youth ministry, peace-building and church planting. It brought many changes in our life and the life in the refugee camp. For instance: we read how we can form communities and do outreach. So we formed two sports clubs in the refugee camp bringing all the young people together. The youth are traumatised and often involved in criminal activities.” Currently, around 100 young people attend the sports programs. Harriet has reached out to women and created a small market garden. Nepal: Deaf-mute boy miraculously healed by Jesus. The boy who could not read, is now studying the Word of God. Jesus Christ among those who have never heard. unreached people groups, Christians form only 1% of the population. church, the faster it seems to grow, often with miracles. Take the story of 18 year old Tilak, a deaf-mute teenager. as he discovered that he could hear and speak for the first time in his life. A miraculous healing had just taken place. surrendered their lives to Jesus Christ that day. Tilak, the boy who could not read, is now studying the Word of God. Tilak, the boy who could not hear, is listening to teachings and growing in his faith. 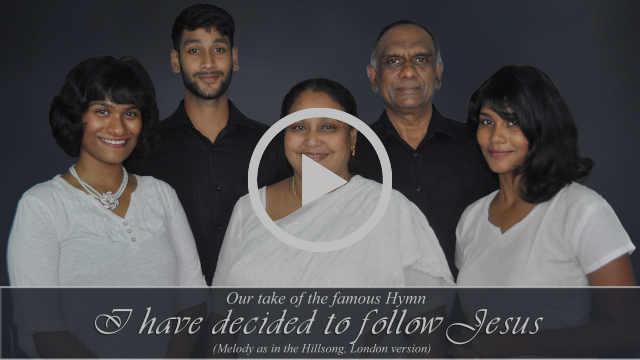 ‘I Have Decided to Follow Jesus’ is a Christian hymn originating from India. The lyrics are based on the last words of a man in Garo, Assam. Into these hostile and aggressive communities, came a group of missionaries from the American Baptist Missions spreading the message of love, peace and hope in Jesus Christ. Naturally, they were not welcomed. One missionary succeeded in converting a man, his wife, and two children. This man’s faith proved contagious and many villagers began to accept Christianity. In a spontaneous confession of faith, he declared, “I too belong to Jesus Christ!” When the crowd heard this from the mouth of their chief, the whole village accepted Christ as their Lord and Saviour. The song is based on the last words of Nokseng, a man from Garo tribe of Assam (now Meghalaya and some in Assam), India. It is today the song of the Garo people. 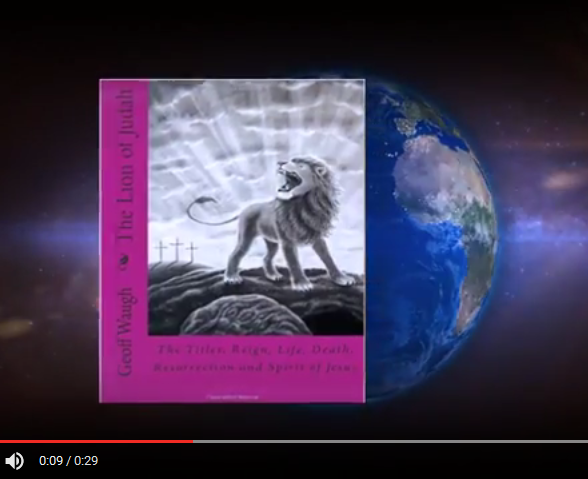 In this video the hymn “I have decided to follow Jesus” is sung in English and Tamil as a tribute to the many men and women, particularly in the Middle East, who did not flinch in the face of death but counted all things loss for Christ’s sake, who fought the good fight and kept the faith. All Renewal Journal Blogs are amazing accounts of God’s actions, but these are very surprising. John 3:16 was the highest-ranked Google search term over the next 24 hours, generating over 92 million searches, after Tim Tebow wore it. Repent and be baptized, every one of you, in the name of Jesus Christ for the forgiveness of your sins. And you will receive the gift of the Holy Spirit. The promise is for you and your children and for all who are far off—for all whom the Lord our God will call (Acts 2:38-39). Repent, then, and turn to God, so that your sins may be wiped out, that times of refreshing may come from the Lord (Acts 3:19). Now to Him who is able to do exceedingly abundantly above all that we ask or think, according to the power that works in us, to Him be glory in the church by Christ Jesus to all generations, forever and ever, Amen (Ephesians 3:20-21). Brief examples and illustrations from a message prepared for Sunday 30 April. 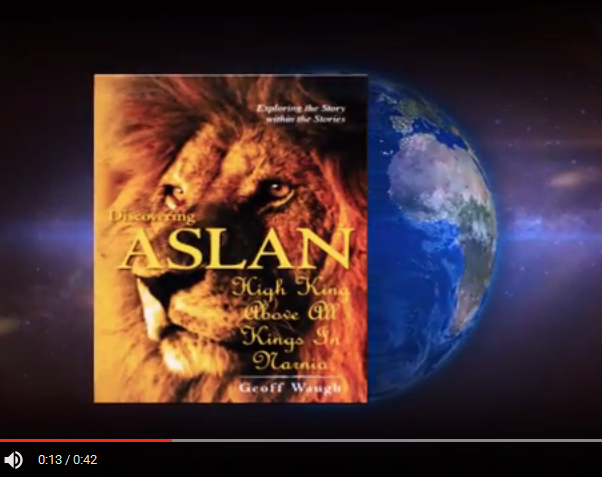 Podcast of Message, beginning with readings from Psalm 116 and Acts 2. Arthur Stace could barely write his own name, but wrote Eternity on the pavements of Sydney, commemorated on the Sydney Harbour Bridge on 1 January 2000. 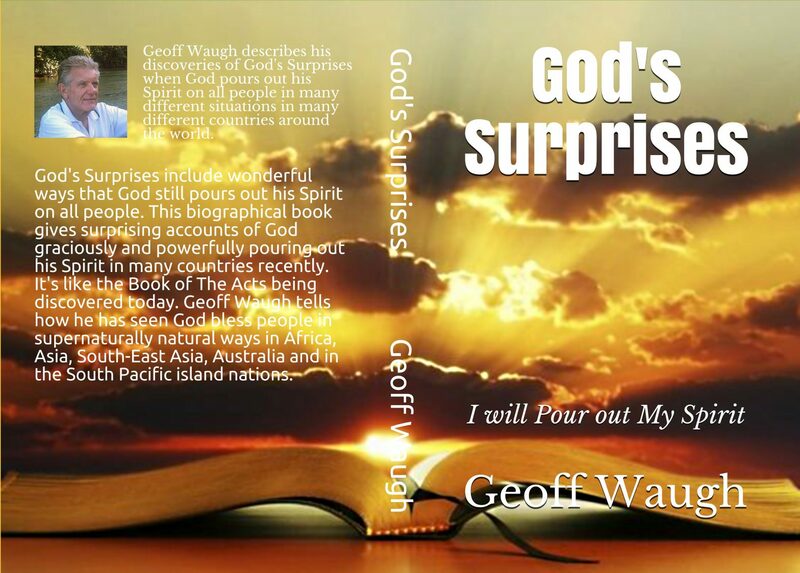 The Lord poured out the Holy Spirit on Elcho Island in northern Australia on Thursday, 14 March, 1979. Djiniyini Gondarra was then the Uniting Church minister in the town of Galiwin’ku at the south of the island. He had been away on holidays to Sydney and Brisbane, returning on the late afternoon Missionary Aviation Fellowship flight. After the evening dinner, we called our friends to come and join us in the Bible Class meeting. We just sang some hymns and choruses translated into Gupapuynu and into Djambarrpuynu. There were only seven or eight people who were involved or came to the Bible Class meeting, and many of our friends didn’t turn up. We didn’t get worried about it. I began to talk to them that this was God’s will for us to get together this evening because God had planned this meeting through them so that we will see something of his great love which will be poured out on each one of them. I said a word of thanks to those few faithful Christians who had been praying for renewal in our church, and I shared with them that I too had been praying for the revival or the renewal for this church and for the whole of Arnhem Land churches, because to our heavenly Father everything is possible. He can do mighty things in our churches throughout our great land. I then asked the group to hold each other’s hands and I began to pray for the people and for the church, that God would pour out his Holy Spirit to bring healing and renewal to the hearts of men and women, and to the children. Suddenly we began to feel God’s Spirit moving in our hearts and the whole form of our prayer suddenly changed and everybody began to pray in the Spirit and in harmony. And there was a great noise going on in the room and we began to ask one another what was going on. Some of us said that God had now visited us and once again established his kingdom among his people who have been bound for so long by the power of evil. Now the Lord is setting his church free and bringing us into the freedom of happiness and into reconciliation and to restoration. There was a great revival that swept further west. I would describe these experiences like a wild bush fire burning from one side of Australia to the other side of our great land. The experience of revival in Arnhem Land is still active in many of our Aboriginal parishes and the churches. We would like to share these experiences in many white churches where doors are closed to the power of the Holy Spirit. It has always been my humble prayer that the whole of Australian Christians, both black and white, will one day be touched by this great and mighty power of the living God. On Sunday night, September 26, 1965, in Soe, Timor, people heard the sound of a tornado wind and saw flames on the church building which prompted police to set off the fire alarm to summon the volunteer fire fighters. Many people were converted that night, many filled with the Spirit including speaking in tongues, some in English who did not know English. By midnight teams of lay people had been organized to begin spreading the gospel the next day. Eventually, about 90 evangelistic teams were formed which functioned powerfully with spiritual gifts. Nahor Leo, the young man who testified that night in the Reformed Church, chose 23 young people who formed an evangelistic group, Team 1. They gave themselves full time to visiting churches and villages and saw thousands converted with multitudes healed and delivered. In one town alone they saw 9,000 people converted in two weeks. Another young man, Mel Tari witnessed this visitation of God and later became part of Team 42. He reported on this revival in two widely read books, Like a Mighty Wind and The Gentle Breeze of Jesus. Healings and evangelism increased dramatically. 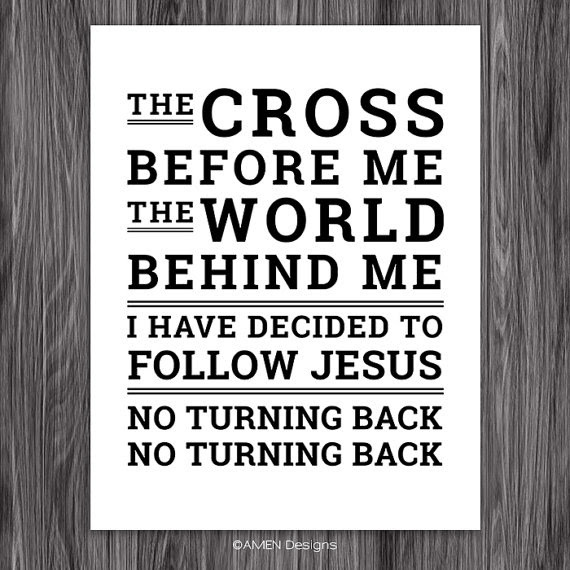 Specific directions from the Lord led the teams into powerful ministry with thousands becoming Christians. They saw many healings, miracles such as water being turned to wine for communion, some instantaneous healings, deliverance from witchcraft and demonic powers, and some people raised from death through prayer. The teams were often guided supernaturally including provision of light at night on jungle trails, angelic guides and protection, meager supplies of food multiplied in pastors’ homes when a team ate together there during famines, and witch-doctors being converted after they saw power encounters when the teams’ prayers banished demons, rendering the witch-doctors powerless. Dennis Balcombe, pastor of the Revival Christian Church in Hong Kong, regularly visits China. He has reported on revival there. In 1989 Henan preachers visited North Anhul province and found several thousand believers in the care of an older pastor from Shanghai. At their first night meeting with 1,000 present 30 were baptized in the icy winter. The first baptized was a lady who had convulsions if she went into water. She was healed of that and other ills, and found the water warm. A 12 year old boy deaf and dumb was baptized and spoke, “Mother, Father, the water is not cold the water is not cold.” An aged lady nearly 90, disabled after an accident in her 20s, was completely healed in the water. By the third and fourth nights over 1,000 were baptized. Edward Miller tells of revival breaking out in Argentina after God told him to call his small church to pray every night from 8 pm to midnight beginning on a Monday. Their little group prayed for three nights, mostly silently except for their missionary Ed Miller. No one seemed to have any leading, except one lady felt she was told to hit the table, but she wouldn’t do anything so strange. On the fourth night, Ed Miller led the group in singing around the table, and hit it as they sang. Eventually others did the same. Then the lady did. Immediately the Spirit of God fell. They were baptized powerfully in the Spirit. They heard the sound of strong wind. Their little church filled. People were convicted, weeping, and praying. By Saturday teams were going out in powerful evangelism. A young man, Alexander and his band of rebels sat in the front row of a revival meeting aiming to disrupt it. God convicted him and he repented. His gang began to leave but fell under the Spirit on the way out. All were converted. Two of them went to the Bible School. Ed Miller taught at the Bible Training Institute in 1951 in the little town of City Bell, near Buenos Aires. In June he was led to cancel lectures so the whole Bible School could pray every day. He announced this on the first Sunday in June. That night Alexander, the former rebel leader, a teenager of Polish descent, was praying long after midnight out in the fields when he sensed something pressing down on him, an intense light surrounding him and a heavenly being enfolding him. Terrified he ran back to the Institute. The heavenly visitor entered the Institute with him, and in a few moments all the students were awake with the fear of God upon them. They began to cry out in repentance as God by his Spirit dealt with them. The next day the Spirit of God came again upon Alexander as he was given prophecies of God’s moving in far off countries. The following day Alexander again saw the Lord in the Spirit, but this time he began to speak slowly and distinctly the words he heard from the angel of God. No one could understand what he was saying, however, until another lad named Celsio (with even less education than Alexander), overcome with the Spirit of God markedly upon him, began to interpret… These communications (written because he choked up when he tried to talk) were a challenge from God to pray and indeed the Institute became a centre of prayer till the vacation time, when teams went out to preach the kingdom. It was the beginning of new stirrings of the Spirit across the land. Prophecies given to the Bible School told of God filling the largest auditoriums and stadiums in Argentina and in other countries. In 1952 Tommy Hicks was conducting a series of meetings in California when God showed him a vision. While he was praying he saw a map of South America covered with a vast field of golden wheat ripe for harvesting. The wheat turned into human beings calling him to come and help them. He wrote a prophecy in his Bible about going by air to that land before two summers would pass. Three months later, after an evangelistic crusade, a pastor’s wife in California gave that same prophecy to him that he had written down. He was invited to Argentina in 1954 and had enough money to buy a one way air ticket to Buenos Aires. On his way there after meetings in Chile, the word Peron came to his mind. He asked the air stewardess if she knew what it meant. She told him Peron was the President of Argentina. When he went to make an appointment with Juan Peron, the dictator President, he prayed for a guard who was healed and so the guard arranged an appointment with Peron. Through prayer the President was healed of an ugly eczema and gave Hicks the use of a stadium and free access to the state radio and press. The revival campaign shifted into the Argentina’s largest arena, the Hurricane Football Stadium, seating 110,000 which overflowed. During nightly meetings over two months 300,000 people registered decisions for Christ and many were healed at every meeting. Some of the signs of revival we saw there included a whole mountain ‘on fire’ (with nothing burned) during revival meetings at their Bible College, witchcraft items revealed then removed and destroyed by prayer teams, everyone prayed for in ‘custom’ villages healed, and angels filling a village church with songs in the night in a small village where the worship had been strong, lasting for many hours. Everyone prayed for in that village was healed and all unbelievers repented during the worship and many were baptized. This 60 kilometre long, narrow island, sighted and named on the Day of Pentecost, 1764, by French explorer Bougainville, was also seen by Captain Cook in 1774. Part of this account is background information from my book South Pacific Revivals (in paperback and ebook). Tomas Tumtum had been an indentured worker on cane farms in Queensland, Australia. He was converted there and returned around 1901 to his village on South Pentecost Island. He came with his friend, Lulkon, a new young disciple from a neighbouring island. They arrived when the village was taboo because a baby had died a few days earlier, so no one was allowed near the village. Ancient tradition dictated that anyone breaking taboo must be killed, so they were going to kill Tomas, but his friend Lulkon asked Tomas to tell them to kill him instead, so that Tomas could live and evangelize his own people. Just before he was clubbed to death at a sacred Mele palm tree, Lulkon read John 3:16, then closed his eyes and prayed for them. Tomas became the pioneer of the church in South Pentecost, establishing many Churches of Christ in the villages there. Revival movements have increased there since the 1980s, continuing to now. We had revival teaching at their Bible College and every weekend revival teams led meetings in village churches. Many of these village revival meetings went late as the Spirit moved on the people with deep repentance, reconciliation, forgiveness, and prayer for healing and empowering. The Bible College buildings in the bay (photo) are surrounded by mountains. We saw those mountains filled with supernatural fire one night. A law student team from Port Vila, led by Seini Puamau, Vice President of the Christian Fellowship, had a strong impact at the High School on South Pentecost Island with big responses at all meetings. Almost the whole residential school of 300 responded for prayer at the final service on Sunday night October 17, 2004, after a powerful testimony from Joanna Kenilorea. The High School principal, Silas Buli, has prayed with some of his staff for many years from 4 a.m. each morning, praying for the school and nation. Silas became a Member of Parliament for South Pentecost in 2016. Mathias, a young man who repented deeply with over 15 minutes of tearful sobbing, became a main worship leader in revival meetings. When he was leading and speaking at a revival meeting at the national Bible College, a huge supernatural fire blazed in the hills directly opposite the Bible College chapel in 2005, but no bush was burned. They told us it was supernatural fire, with no smoke and nothing physical being consumed by the fire. More details and many more accounts are given in Flashpoints of Revival and Revival Fires. Story-tellers of good news ~ Results in healed families, freedom, love, less violence and addiction, redemption, hope, divine favour, grace, they pray and God moves. Share to inform and inspire others. West Africa: Dramatic transformation among Muslim peoples. “Dramatic transformation is the key to rapid multiplication of churches among Muslims,” says Jerry Trousdale of missions organization CityTeam International. He relates the story how one time their West African ministry partners were having their midday prayers, when they suddenly were surrounded by Muslim leaders. The team had been seeing breathtaking breakthroughs among highly resistant Muslim peoples, so they had anticipated opposition. They had reason to be fearful, but kept praying. Surprisingly, the Muslims just stood around them observing the proceedings and making no signs of hostile intentions. When the Christian leaders finished praying, the group approached and turned out to be a delegation of Muslim civic leaders from a distant region. They had come with their imam and with a request. They said: “We have not come to harm you, but we beg you – could you please send us the story-tellers?” They meant the Christian workers who were making disciples by telling stories. The Muslim leaders from this community had observed other communities in their area that had become Christian, and they had noticed a dramatic change in people’s lives. They wanted the same thing in their community! After some rearranging of schedules and responsibilities, the ministry was able to send out a team of storytellers to the distant village. Nobody imagined at the time that events like these would be repeated again and again, and that even entire mosques would come to faith in Christ. “When Muslims observe the types of dramatic transformation that only the gospel can bring in individuals, families and whole communities, they are often jealous to experience the same,” explains Trousdale. In families where women and children have been treated almost as slaves, wife beating becomes no longer acceptable, and love begins to heal broken marriages. Children are given permission to attend schools and are treated with new appreciation. Fighting between parents and children diminishes. Polygamy is no longer the choice of Christian men, and prostitution dies out. 2. A Spirit of Freedom. When people discover freedom, it affects everything in their lives. They find release from fatalism, they are willing to try new things, and they expect God to bless their lives. 3. A Spirit of Love. Many Muslim people report that God puts love in their hearts for the first time. In many cases, they have a new passion for fellow Muslims who are still in the mosque. There have been instances in which, upon becoming Christians, former Muslims refuse to participate in ongoing ethnic warfare. In one case, when the Christian men were called to account for why they no longer ‘supported the tribe’, they shared the message of Jesus. This caused tribal elders to rethink their reasons for fighting, and the fighting stopped. Today, the two men who stood up for their conviction, are church planters. The levels of addiction to alcohol, khat, and other things that consume people’s lives are greatly diminished as these people receive prayer for deliverance. Historically, when lost people become obedient disciples of Jesus, they typically exchange fatalism for optimism, have new energy and initiative, and become more productive people. In addition, they abandon expensive addictions, and they see the blessings for God on their family situation. 7. Evidences of Divine favour. Many new Christians share with joy how, after they became followers of Jesus, and during a time of prolonged drought, the Lord caused it to rain on their farms or on the pasture where their livestock was, but not on their neighbors’ land. And it became so obvious that the Muslim neighbors came to them to find out why these Christians had such favor. Farmers in every region that City Team International workers have interviewed report that, since they have become Christians, they have begun praying over their fields and have ceased using Muslim or spiritist blessings on their land, and their harvests have dramatically increased. Many new Christians in Muslim areas face harsh persecution. But these believers, though persecuted in cruel ways, have been transformed so deeply that they find the courage to speak a blessing on their persecutors. This forgiveness in the face of persecution can, over time, be the way that God gets into a persecutor’s heart to transform it as well. Numerous Muslims who formerly persecuted the Muslim-background Christians in their areas have come to faith as a result of those whom they persecuted responding with grace and kindness to the evil things done to them. 9. Freedom from demonic oppression. Many Muslims have experienced years of torment from demonic powers. But when they repent of sins and receive Jesus as Lord, those spirits are successfully cast out. These deliverances are very tangible witnesses of the power of the gospel in Muslim families. 10. The power of individual prayer. Common people discover that they can pray and God moves. Even the Muslims see this and thank God for the changes in the communities, as many who used to disturb them are now peaceful Christians. This Blogs Index 4: Book Chapters has chapters from some of the Books on the Main Page and the Books page – see Top Bar Menu.